On October 12, 2018, Westchester County, New York, enacted a new ordinance titled Earned Sick Leave Law. 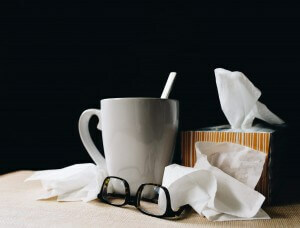 Starting April 10, 2019, private employers with five or more employees, or one or more domestic workers, will be required to provide paid sick leave. Private employers with less than five employees must provide unpaid sick time. the closure of day care, elementary, or secondary school attended by an employee’s child due to a public health emergency. When the use of earned sick time is foreseeable, employees should provide advanced notice that does not unduly disrupt an employer’s operation. If possible, the request should include the expected duration of the absence. For absences that span more than three consecutive work days, employees may be required to provide reasonable documentation that the time off was used for a covered purpose. All employees must be given a copy of the law and written notice of how it applies to them within 90 days of the law’s effective date, and all new hires must be given the same documentation upon hire. Employers must post a copy of the law and a poster conspicuously for employees. These must be in English, Spanish and any other language deemed appropriate by the county. An employer that willfully violates the notice and posting requirements may be subject to a fine of up to $500. Employees that believe their rights under the law were violated, can file a complaint with the Department of Weights and Measures Consumer Protection, or bring a lawsuit. Employers are encouraged to start reviewing this new law to determine what steps need to be taken to comply.